A Chance for Banks to Improve their Image with PPI Reclaims. The High Street Banks have had some very bad public relations press recently. The average person on the street is rightly incensed about high bonuses and bail outs from tax payer’s money. The public image of bankers and banking has never been so low. It is time for the banks to do something to redress this balance, and PPI reclaims are the perfect way to go about this. The banks have fought PPI reclaims determinedly, using various methods. They have denied liability, ignored claims, refused justifiable claims and put perfectly valid claims on hold while they went through the court system to challenge PPI reclaim. The High Court ruled against them and finally the banks have agreed not to pursue an appeal. This is a sensible decision in view of the many test cases where banks have been proved indubitably to have mis-sold PPI. Barclay’s Bank has already agreed to pay out without quibbling on all PPI claims made before May 20th 2011, which is a piece of much needed good publicity for them. Other banks have not followed suit, and have stated that they intend to scrutinise carefully all claims which they receive. This is a shame as most claims submitted will eventually receive a substantial payout. It would be sensible for the banks to use this opportunity to get some good publicity for a change. Some banks are looking at reclaiming all or part of the massive bonuses paid to their executives which were derived from the vast profits paid to them from PPI sales. As many of these sales were in fact mis-sold PPI then it seems logical that some of this money should be paid back. Massive bonuses are a sore subject to those of us struggling with everyday inflation and cost of living, especially with financial bail outs to these banks paid for by the tax payer. Any bonus based on PPI mis-selling needs to be reviewed in light of the recent court rulings. Sadly, it is likely that any action to claw back these bonuses will fail, but banks need to be seen to be fair to their customers. 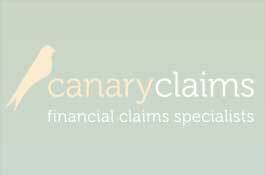 To reclaim PPI you will need to make a claim, as the banks are not going to offer you your money back. Most of them are also going to challenge strenuously any PPI reclaim made. They have already used the legal route to challenge the FSA ruling that they should pay back the money, and failed. Legally, they have to respond to any claim by 31st August 2011, which is an extension granted due to the special circumstances but already the banks claim that they are overwhelmed by the sheer number of complaints. It is time for the banks to come clean and respond positively to these PPI claims, instead of trying to wriggle out of their legal commitments. Banking is a highly competitive market and I for one would look favourably on any bank which was open and honest about its liability to PPI reclaims and looked closely at any bonuses earned by what can only be described as fraudulent mis-sold PPIs.